This week’s theme for the weekly photo challenge over at The Daily Post is Ornate. 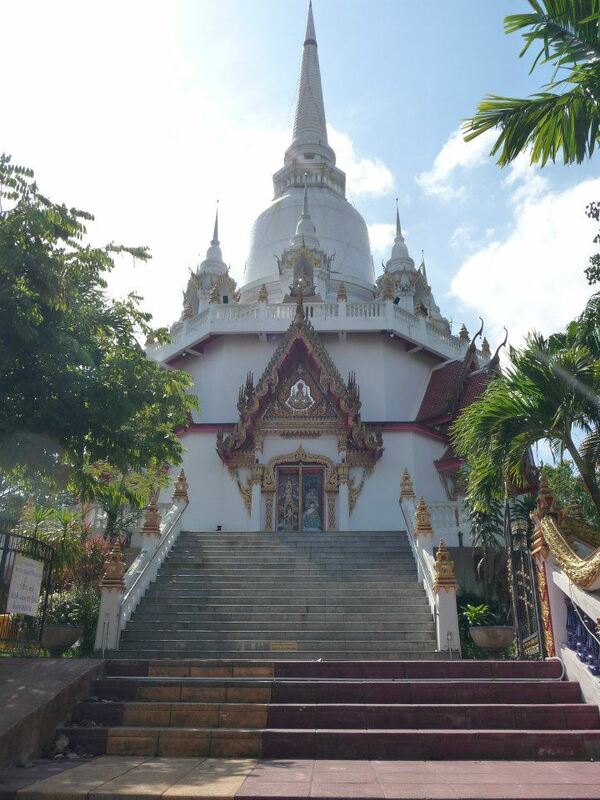 This photograph is from inside the most unique temple I have ever been to – Chedi Thaimongkhon in Hat Yai. It is absolutely stunning there and is well worth a visit if you are in the area. 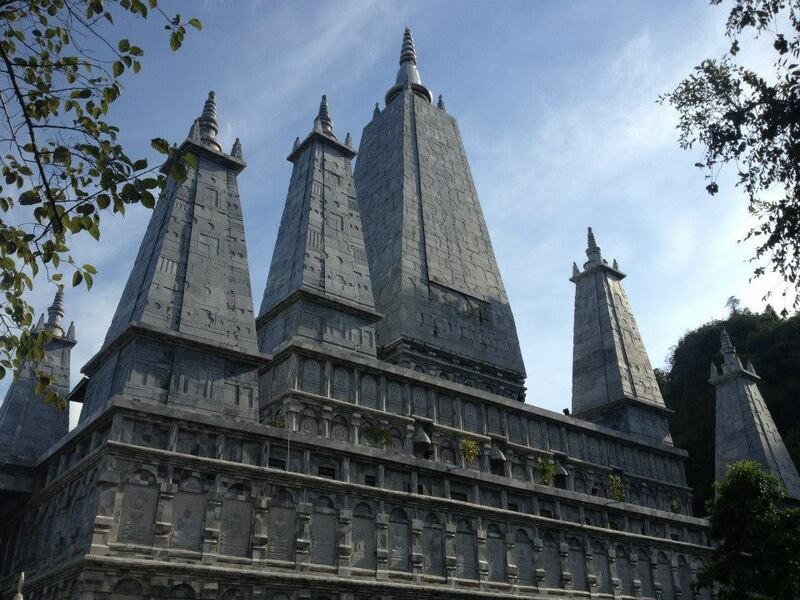 Check out my post – Top Ten Hidden Temples of Hat Yai for information on more beautiful temples in the area. Hat Yai, the city that I grew to love and called home for almost two years has once again been targeted with a series of bombs. Luckily, no one was killed although some were injured. While living in Hat Yai I developed a passion for life in the deep south of Thailand and would (and still do) get frustrated at it being written off as too dangerous to travel to. 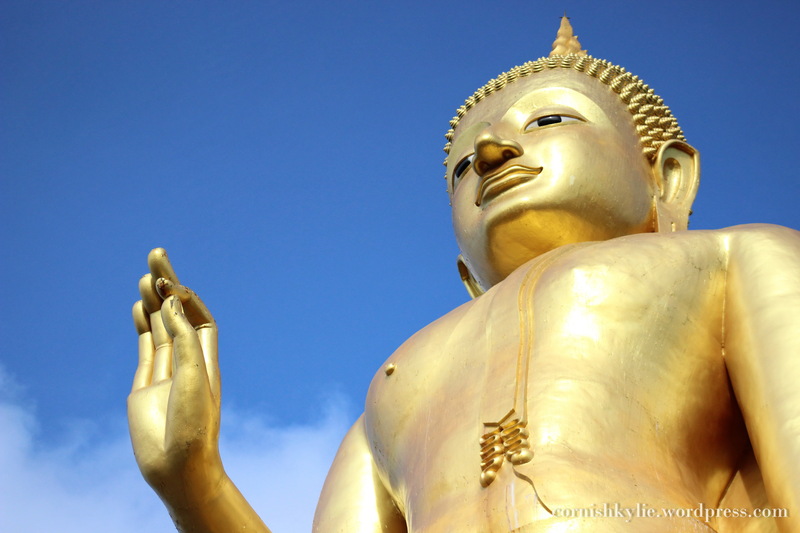 Hat Yai is the gem of the south, with beautiful temples, bustling markets, fantastic shopping and a wonderful mix of Thai, Chinese and Malay cultures, including Buddhists and Muslims living and working side by side. This hodgepodge of cultures results in an array of Chinese, Buddhist, Hindu and Taoist temples and grand mosques flanking the same streets. 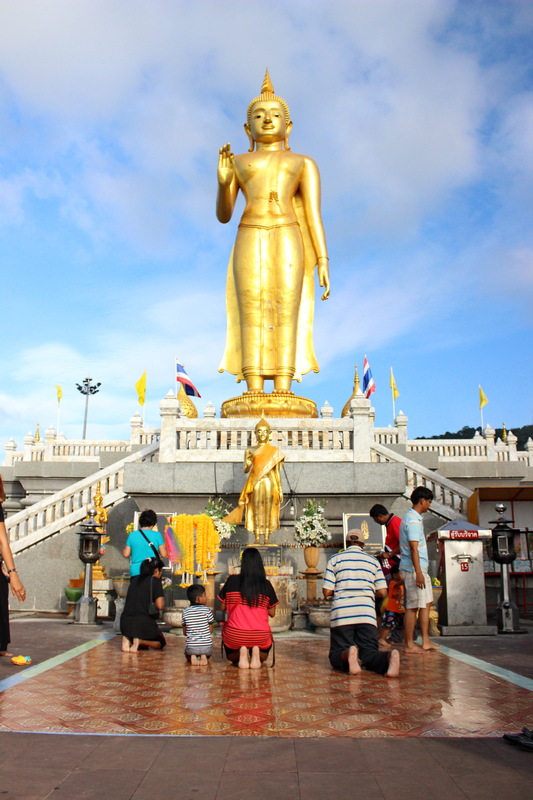 You can hear the call to prayer while walking past a golden statue of the buddha. You can dine on the spiciest southern curry Geang Som, some finger lickin’ good halal Gai Yang (think KFC on flavour steroids) and some crispy won tons all picked up at the same food market. 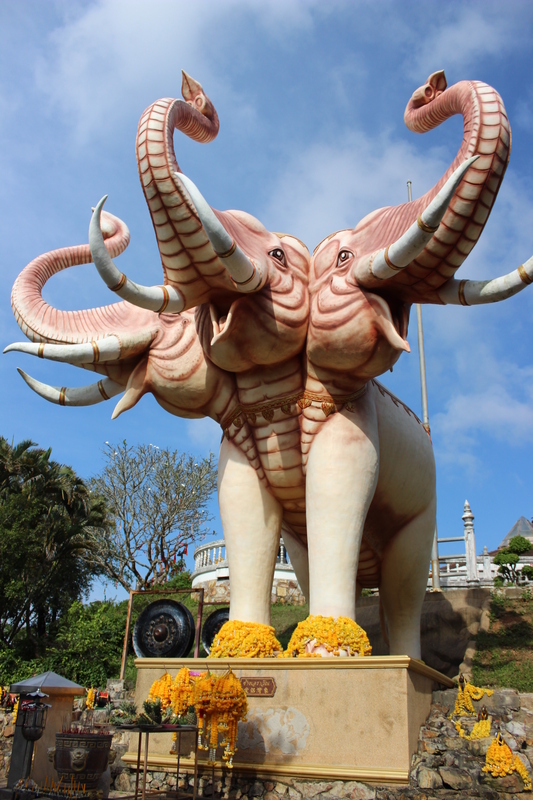 And that is what makes Hat Yai unique, and special, and so worth adding to your travel plans. 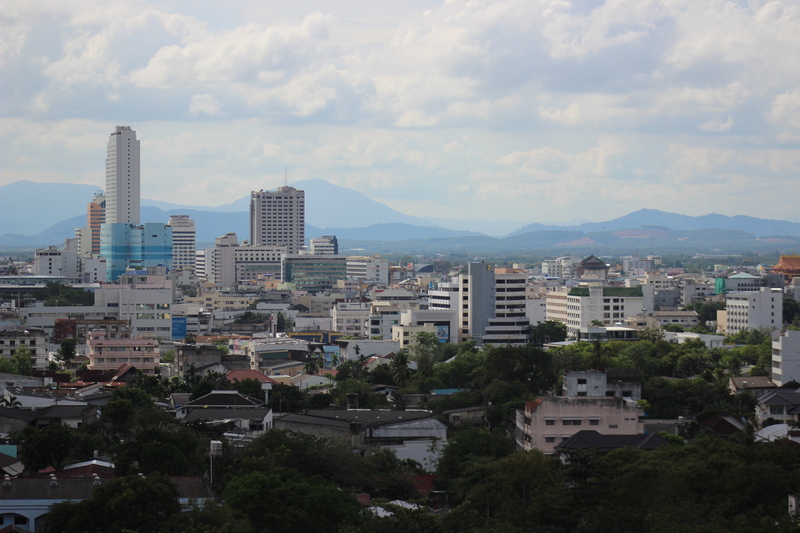 Hat Yai is by and large a safe place for a foreigner to travel to or live. There is a sizable expat community of teachers and oil industry workers, and Thais themselves flock from across the country to take advantage of the economy of the transport, commerce and tourism centre of the south. Yes, there is an active insurgency taking place in the three provinces further south of Hat Yai – Pattani, Yala and Narathiwat – and the bag checks and scans when going to Tesco or the cinema remind you of that daily. But the insurgency unfortunately goes on and we are all but blissfully unaware of it up in Hat Yai. Such is the way of the media that to find out what is going on in the deep south you need to trawl the internet and make use of Google translate – it simply isn’t of interest to the global media aside from blanketing the entire deep south with a do not travel advisory notice. When I heard that a series (the exact number is disputed from 2 to 5) of bombs went off across the city on Tuesday I was firstly worried for all the friends that I have still living there. One of the bombs went off at the police station next door to immigration – what if one of them had to go for a visa check? Once I’d established that everyone was OK, my feelings went from concern to upset and anger. I was saddened that the city I have been defending so much and promoting as safe would be targeted in what is largely assumed is an over spill of the southern insurgency. I was angry that this will no doubt have a negative effect on the number of people willing to go to this city, which had been rebuilding its tourist trade after being victim to a more deadly explosion in 2012. I was also angry that yet again these attacks would be going unnoticed by the world media, and the daily plight of people living in the deep south would continue to be allowed to go on as long as we tell people not to go there and they keep themselves to themselves. A lot of the facts are uncertain – how many bombs, who is responsible and why they did it are all being disputed in various sources across the internet. I’m not going to get into it here but it does look like these most recent bombs weren’t aiming at killing scores of people but were more of a way of proving that despite strenuous security, Hat Yai isn’t untouchable. 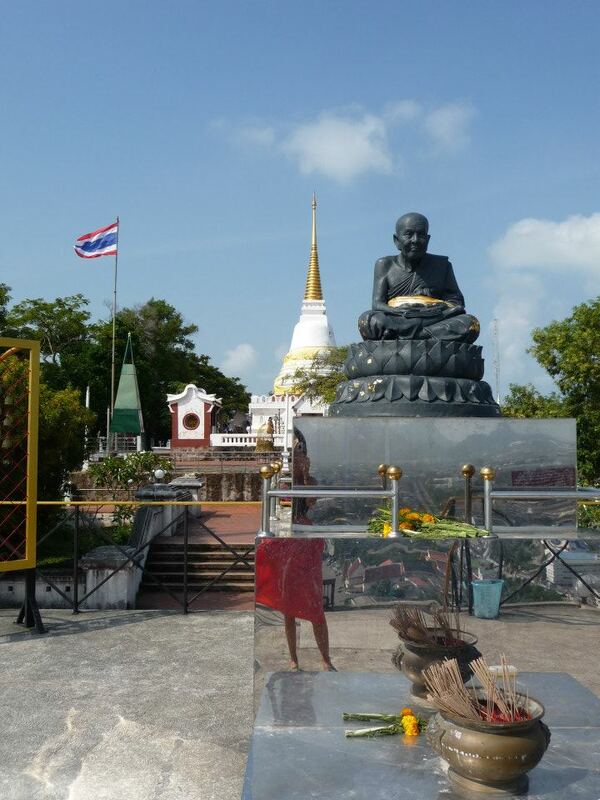 And that’s right – Hat Yai isn’t untouchable. But is any large city in any country around the world? 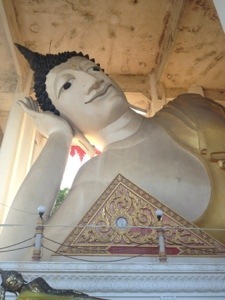 Please, don’t be put off from visiting Hat Yai. It is an amazing place brimming with things to do and see and taste and experience. t is an assault to the senses. Yes it is busy and noisy, hot and sticky and at times confusing, but this is Thailand, the centre of south east Asia – what more would you expect? And actually, I wouldn’t want it any other way. 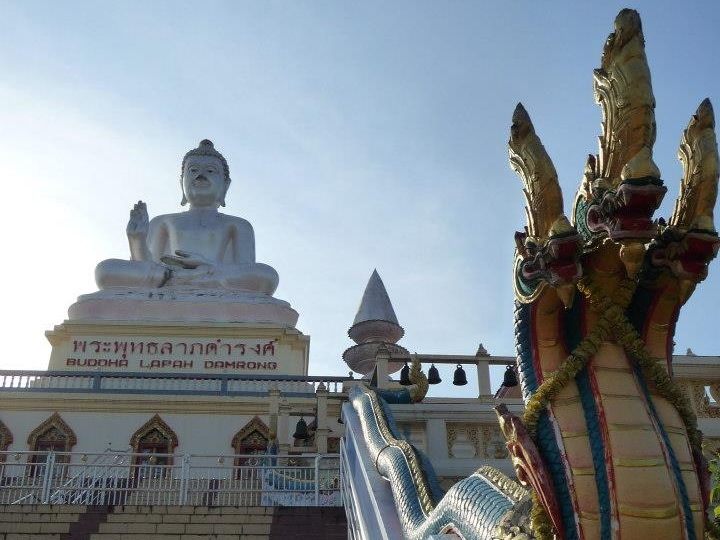 If you’re adding Hat Yai to the top of your travel plans, check out this article by Sandy Dhaliwal, a fellow writer and teacher currently living in Hat Yai and loving it just as much as I do. 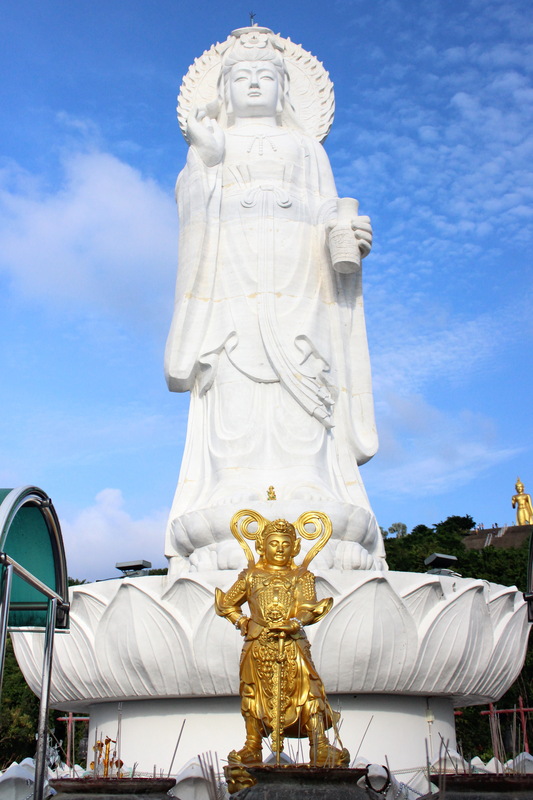 This 20 metre tall brass Buddha stands proudly on top of Korhong mountain, overlooking and protecting the south Thailand city of Hat Yai. Next we have the letter T. Now I could bang on about my TEFL, or teaching, or living in Thailand. But I do enough of that usually. So, quite simply here is a little tilt shift video some local students made of the city of Hat Yai, Thailand; the city I call home for the moment.